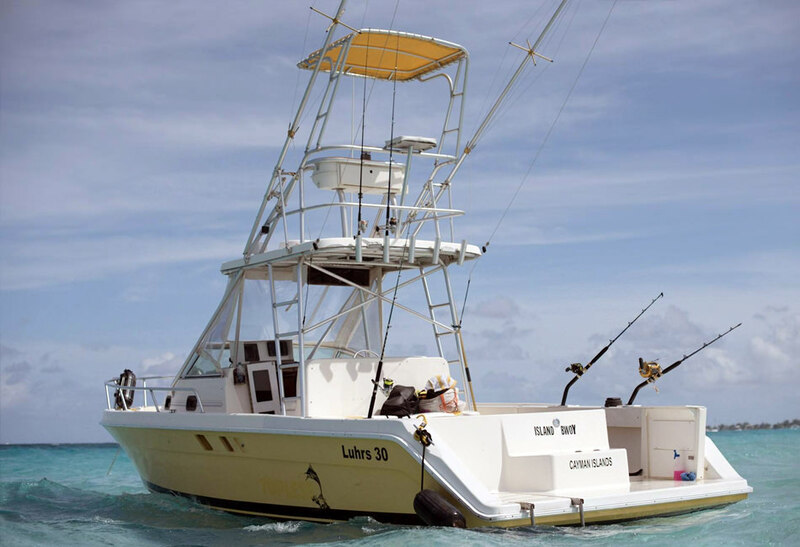 The Luhrs 30 Open is an ideal way to get to fishing on snorkeling grounds in style. The engine room provides full standing headroom. In addition, the 30 Open's hull design provides added speed and a shallower draft. 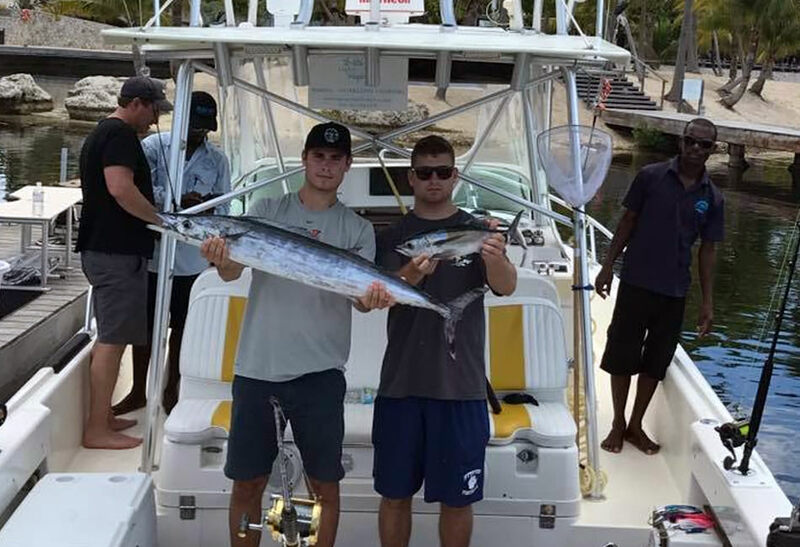 When it comes to sport fishing, a bigger boat isn't always better. Sometimes it pays to have one that's sized "just right." 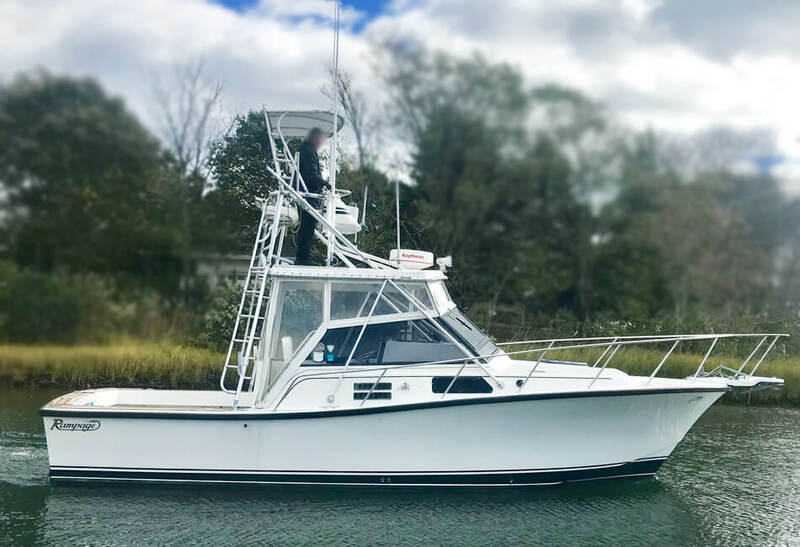 That accurately describes the Luhrs 30, which offers the maneuverability and performance of a smaller fishing boat with the inboard reliability, interior comfort and offshore-ready seaworthiness of much larger vessels. 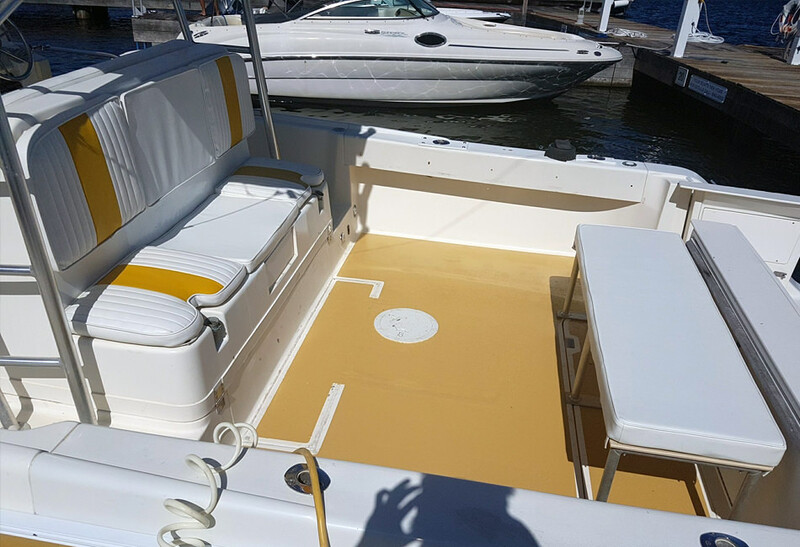 This beautiful and state of the art boat is equipped with a restroom, fresh water shower, GPS, depth finder and Clarion sound system. Three Stop Snorkeling Charter - Up to 6 pers. - Duration 3hrs. Includes: Stingray City, snorkeling at Barrier Reef, Coral Garden Reef or Starfish Beach. Including snorkel gear and refreshment. Half Day Snorkeling Charter - Up to 8 pax - Duration 4hrs. Includes: Stingray City, snorkeling at Coral Garden reef, Rum Point and a visit to Starfish Point. Including snorkel gear and refreshment. Snorkeling & Beach Barbeque - Up to 6 pax - Duration 6hrs. Includes: Conch Diving, Aquarium Reef, Coral Garden, Stingray City, Starfish Point and beach barbeque. Including snorkel gear and refreshment. Half Day Reef Fishing - Up to 6 pax - Duration 3hrs. 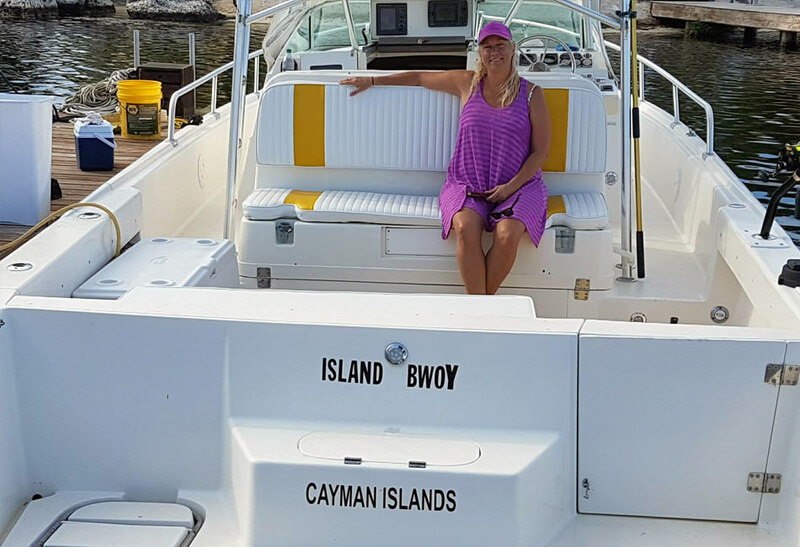 Includes: Refreshments on board and all fishing equipment and bait required. Half Day Deep Sea Fishing - Up to 6 pax - Duration 4hrs. 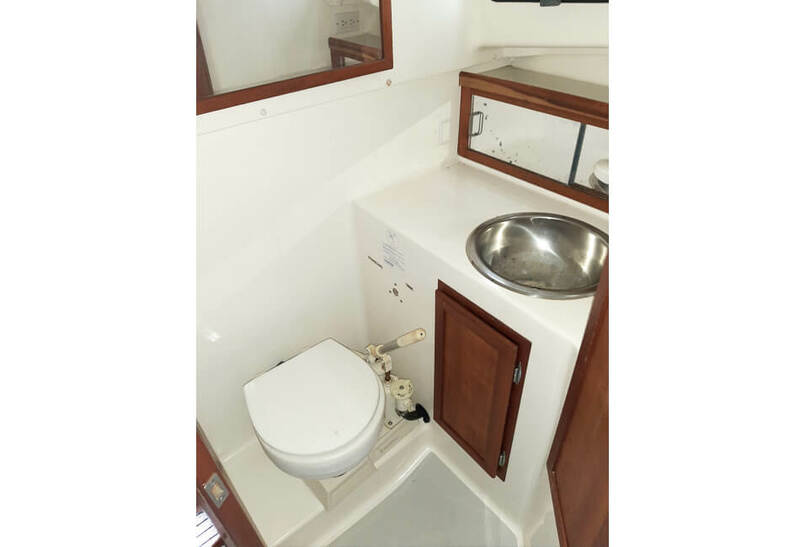 Includes: Refreshments on board and all fishing equipment and bait required. Full Day Deep Sea = Up to 6 pax - Duration 8hrs. 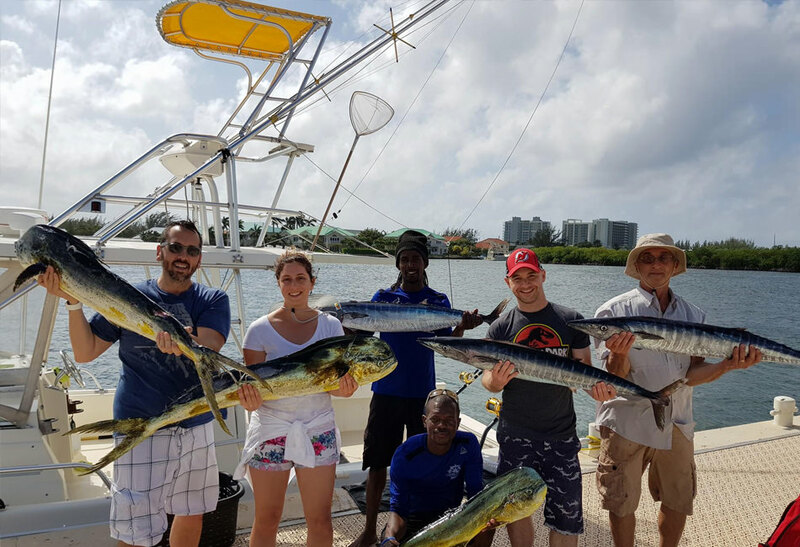 Includes: Full day deep sea fishing trip with all equipment provided as well as refreshments on board, including complimentary cocktails, fruits and sandwiches.